Jumeirah Beach Hotel is a hotel in Dubai, United Arab Emirates. The hotel, which opened in 1997, is operated by the Dubai-based hotelier Jumeirah. The hotel contains 598 rooms and suites, 19 beachfront villas, and 20 restaurants and bars. 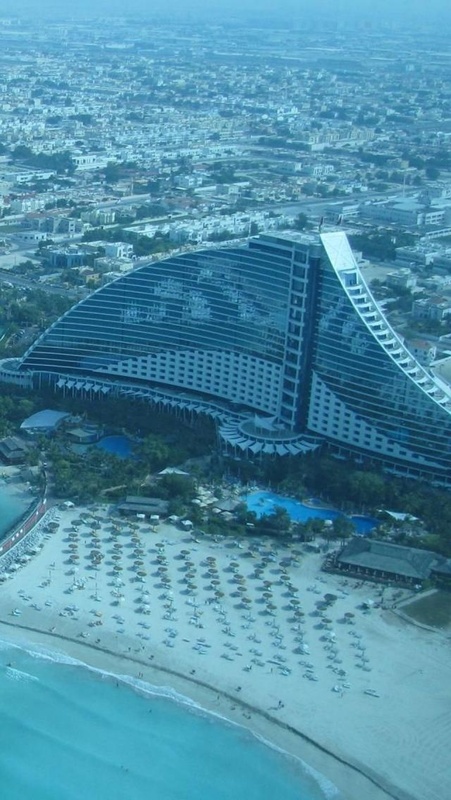 This wave-shaped hotel complements the sail-shaped Burj Al Arab, which is adjacent to the Jumeirah Beach Hotel.